When we brought our chickens home, I did not think about upkeep. I figured they would be perfectly healthy and we’d feed them in exchange for a daily supply of eggs. We’d change their water and clean out their coop, let them free range, and all would be well with them. Okay … that’s a bit naive on my part but, never having raised chickens before, I did not know what to expect beyond that. In this article, I will explain both the bumblefoot chicken symptoms you should watch out for, as well as the steps to follow for how to treat bumblefoot. It’s kind of like raising children in a way. No one can ever truly prepare you for the sleepless nights and complete exhaustion you’ll experience until you’ve walked the path of a mother or father with an infant in the home. I’m really not comparing children to chickens, but I equate it to the ignorant bliss and idealistic way we have of thinking. When reality sets in, you realize you have a child that needs to be fed, raised, and trained in the ways of the Lord all while trying to do your best and not really knowing what you’re doing. That’s kind of how we approached the chickens … ignorant bliss. Granted they don’t keep us up at night and they pretty much tuck themselves into bed. We just make sure they’re all accounted for before shutting them in for the night. Other than that, they’re pretty much on autopilot. Rewind to a few weeks ago when Lauren came in and told me that Pearl, our sweet Araucana mix, had a huge scab on her foot. After looking at it and researching it, we discovered that it appeared to be bumblefoot chicken symptoms. It starts as a small blister on the pad of the foot and severe cases can fester into massive lumps on the top of the foot. This condition can be brought on by injury to the foot (jumping from high places or getting a cut, etc.). Due to our ignorance, poor little Pearl’s bumblefoot chicken condition had festered to this point. After a little more research and asking friends on Facebook how to treat bumblefoot, we tried a garlic/honey poultice to draw the abscess up to the skin. We waited a week and didn’t really see any difference in Pearl’s foot. She wasn’t limping, but we figured that poor Pearl wasn’t doing so well. So I placed a call to my sweet friend Debra, who has forty chickens. She said she had the same problem and walked us through how to treat bumblefoot by removing this infection from Pearl’s foot. She did say that Bumblefoot is basically a staph infection, so we took the necessary precautions. We performed surgery outside, sanitized everything, and wore gloves during the process. Lauren caught Pearl and wrapped her in a towel, covering her head. The only part exposed was her foot. This really helped to calm down Pearl and us, too. I cleaned her foot with soapy water and wiped her foot down with apple cider vinegar. Using a sterile X-ACTO knife, I thought it would be easiest to start at the top, thinking that it would “pop” out and I wouldn’t need to cut too deeply. I soon realized that I needed to start where the chicken flesh met the abscess. I made a few clean slices on the abscess and loosened it from Pearl’s foot. I didn’t know what to expect, but the entire abscess was a solid piece of bacteria/infection that looked like corn. It was about a half-inch long and solid. It started to bleed (as Debra said it would), which is a good thing as the blood cleans out the wound. I poured apple cider vinegar over the wound and applied Neosporin ointment to the open wound. Debra suggested that we keep it open and not bandage it so that the infected area was free to weep, thereby removing any further infection. We checked Pearl’s other foot and realized she had the beginning of Bumblefoot on that one too. We took care of it immediately by picking the scab and cleaning it out with apple cider vinegar and Neosporin. To clean up, disinfect your work area and throw away the abscess material that is removed from the foot. Discard the soapy water and other items away from the other chickens. You don’t want them to have access to any of these items. I hope these instructions for how to treat bumblefoot help you if you are raising chickens. It’s not fun, but now I realize that we can do anything when it comes to taking care of our chickens. They deserve a healthy life. It’s been four days and Pearl is doing so much better. She’s running around like a chicken should and her wound is healing nicely. Once we were done, we felt like we could conquer the world (or at least any other chicken problem we encounter). I think that’s pretty awesome for two novice chicken owners. Meredith Duke is a homesteading mama near Austin, Texas. 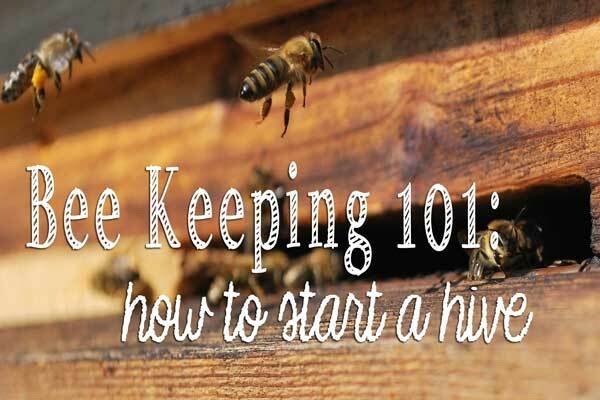 She and her family are beekeepers, gardeners, chicken farmers, hunters, and general “DIYers,” They are always seeking ways to expand their skills and learn the “old ways,” whether it’s canning, quilting, or being good stewards of their God-given resources. You can read more about the Duke family’s adventures at www.sangabrielfarm.com. Want to learn more chicken farming? Be sure to check out our article on how to raise chickens and planning for your flock!